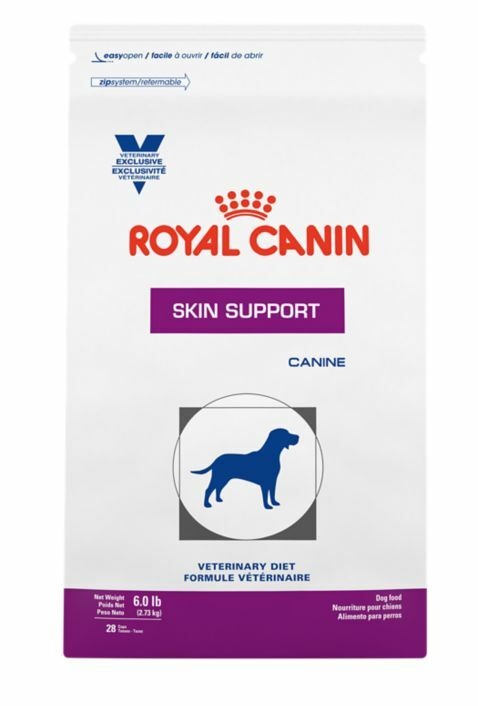 Canine Skin Support SS is a complete and balanced, highly digestible diet that has been specifically formulated for adult dogs and puppies to support healthy skin. The diet contains curcumin, which imparts a yellow coloring to the kibble. As this natural color may stain, contact with delicate items should be avoided. Skin Support - Synergistic action of the exclusive complex including curcumin, aloe vera, vitamin C, and taurine helps support healthy skin cell generation. Skin Barrier - Patented blend of B vitamins and amino acids help maintain the skin's natural healthy barrier properties.